Commissioner Chairman Stan Helton welcomed everyone at 5:15 p.m. for its bi-monthly meeting on Tuesday, February 26, 2019. District Attorney of the Appalachian Judicial Circuit of Fannin County B. Alison Sosabee appeared before the Board requesting funds to employ an administrative assistant. The new assistant would help alleviate the work load being placed upon the department due to an increase of 32% in criminal case loads being experienced in Fannin County. After a lengthy discussion, Johnson and Patterson voted to approve the amended budget request while Helton opposed. A change in biohazard disposal companies: The current company has been charging the county $12,000 a year. He has contacted another source who will pick up biohazard materials for approximately $600-800 a year. Approved. There were nine bids to help county resources in case there would be a major disaster here in Fannin County. Contracts will be sent out to Southern Disaster Recovery, LLC from Simpsonville, SC, and Phillips & Jordan, Inc., Knoxville, TN winners of the bids. They will only be dispatched if the need arises, the companies will then be placed into action. Requesting EMA be placed on the waiting list for a new ambulance truck for 2020. Currently an ambulance package chassis used for “remounting/refurbishing an ambulance is not due to be available until 4th quarter 2019,” Graham said. He suggested the county makes sure it has the required ambulances needed to service the growing community. Post Commissioners Earl Johnson stated, “We need ambulances. We can’t do without them.” and Glen Patterson added, “Public safety is our highest priority.” The positive comments from the commissioners enabled a unanimous vote for EMA to be proceed with plans on the refurbishing of an ambulance and to make Request For Proposals on a new one. Frank M. Tate & Gregory Spencer: remodel and rebuilding a home on an existing foundation. Joseph M & Bonnie Hrynyk: building a garage per specifications in variance order. Oak Vista, LLC: building a carport only. Variance was asked originally for a patio and carport. Serene Mountain Properties, Inc.: to build a house on a private road. 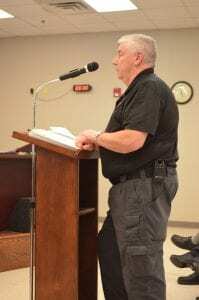 During the time set aside for public commentaries, local citizen Ralph Garner spoke to the commissioners regarding a comment by a board member at last months meeting. Garner felt it was inappropriate and disregarded local medias attempt to voice legitimate concerns over lack of transparency with North Georgia Mountain Crisis Network administration and management. He also voiced concerns and asked the board to keep abreast of investigations being made in the case of David Ralston, Georgia Speaker of the House. The commissioners were unanimous in its vote to reappoint the following persons on the Fannin County Water Authority: Chairwoman Anita Weaver, Mark Berger, and Zack Ratcliff. It also voted to help purchase a fourth 911call center console for the EMA department at a cost of $16,749.11. The board adjourned at 7:22 p.m. Next meeting will be March 12, 2019 at the Fannin County Courthouse. Blue Ridge, Ga. – Feed Fannin is celebrating 10 years of serving Fannin County and throughout the years the all volunteer organization has grown and become a template for other projects across the state of Georgia. Feed Fannin was founded in 2009 by Barbara Ferer who had a vision of bringing individuals together to “educate and encourage our community towards self-sufficiency while providing food for those in need”. The very first garden planted in Fannin County was at Davenport Brothers Wood Yard and from there smaller gardens popped throughout the community. “Our primary goal is to provide food or funds for the pantry,” Feed Fannin Board of Directors member Jane Kimzey said explaining the mission of the organization, and what Feed Fannin has provided to the Family Connection food pantry. 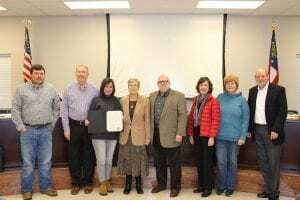 Representatives from Feed Fannin stand with the Fannin County Board of Commissioners after having a proclamation signed recognizing 10 years of success. Through organically gardening a variety of produce, which varies year to year, Feed Fannin was able to raise and contribute 7,415 pounds of vegetables to the community in 2018. This large amount is predominantly attributed to, beyond the vast hours of work volunteers put in regularly, the Fannin County School System leasing a tract of land on Ada Street. According to John Sugg, Chairman of Feed Fannin, acquiring the Ada Street property allowed the organization to grow exponentially. “We are here today and we have one purpose, to tell you all thank you. 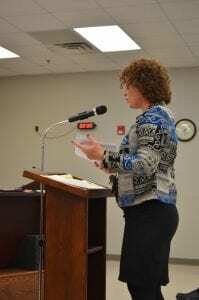 This partnership means a lot to us,” Sugg spoke recently to the Fannin County Board of Education. The Ada Street property was first leased from the school system in 2013, with the first garden being planted on site in April of 2014. The land, which is leased for $1.00 per year, not only allowed for Feed Fannin to move forward in their mission but also opened up an ongoing mutually beneficial relationship between the organization and the local schools. Working side by side with Fannin County’s Future Farmers of America (FFA), Feed Fannin is excited to see the school system’s new Agriculture Center completed adjacent to their gardens. “We work closely with their new Ag Center which is a jewel in this community,” Sugg said of the relationship shared with Fannin County schools. Since their beginning in 2009 Feed Fannin has provided the local food pantry and community with 64,797 pounds of produce. Along with this produce Feed Fannin works to raise money for the Family Connection food pantry. 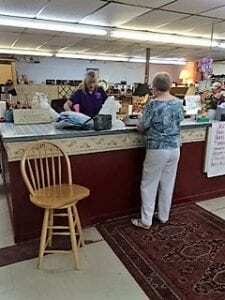 “We either give the money directly to the food pantry in some cases, but in some cases we use it to purchase milk and eggs,” Kimzey spoke of the use of the funds raised each year. Since 2009 Feed Fannin has raised over $320,000 to support area projects. Besides general upkeep of gardens and equipment, all money raised goes directly into the community, as there is no paid staff and the organization runs on a volunteer basis only. A photo from the 2017 Bowls of Hope fundraiser showing a large crowd enjoying the annual event. Much of the funds raised for Feed Fannin come from the annual Bowls of Hope fundraiser. 2018 saw record breaking numbers as this fundraiser alone was responsible for bringing in almost $32,000. So what’s in store for the future of Feed Fannin? Currently more than 168 volunteers work to provide services to the county. These services include year long educational classes, working with local elementary schools on gardening programs, continuing a relationship with Fannin County’s FFA program and stocking shelves with home grown goods for the local food pantry. Feed Fannin has recently added a research and development team to keep up with the latest methods in gardening and to look into ways to improve an already successful program. An experimental garden has also been added to the Family Connection property and is being funded by an independent organization. There is work being done to expand Feed Fannin’s allotment garden where individuals with less than ideal conditions for gardening can make use of the community land and plant their own small gardens. Feed Fannin invites all citizens of Fannin County to celebrate with them as they mark 10 years of service in our area. 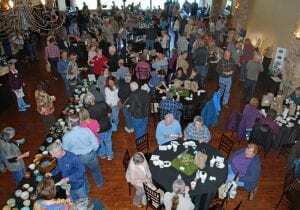 The annual fundraiser, Bowls of Hope, will be held on April 27, 2019 at Willow Creek Falls and Vineyard. Blue Ridge, Ga. – The Fannin County Emergency Management (EMA) team continues to move forward with preparedness for the future. 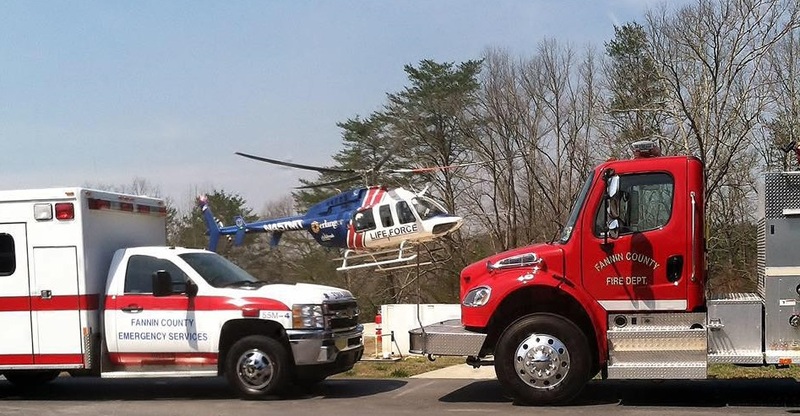 Throughout 2017 and 2018 Fannin County’s EMA made steps to secure the safety and readiness of the department due to projected growth in our area. Grants were applied for and received to better equipment our emergency personnel, and purchases were made by the county to handle residential expansion. While disasters are rare in our area, they can happen and our EMA is preparing for an all case scenario. Fannin County EMA Director Robert Graham approached the Fannin County Board of Commissioners (BOC) earlier this year to seek approval for obtaining bid contracts that would take effect if a situation arose that required more than the county is equipped to handle. 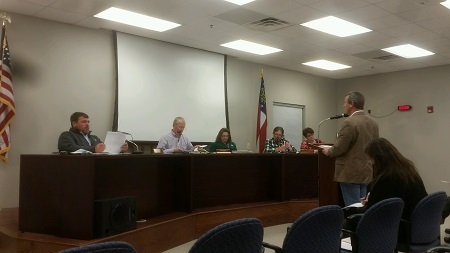 At the Nov. 27 BOC meeting Graham was present to open sealed bids that had been received. The number of bids was surprising as Fannin County Attorney Lynn Doss opened a total of nine packages received from disaster relief businesses across the nation. “Did you tell these people that we have golden roof tops up here or something?” Post 1 Commissioner Earl Johnson joked as the bids were opened. According to Graham the debris removal goes beyond just downed trees, it could include garbage, housing material, or hazardous waste to name a few. Graham hopes to have a decision made to present to the BOC during one of the January 2019 meetings. 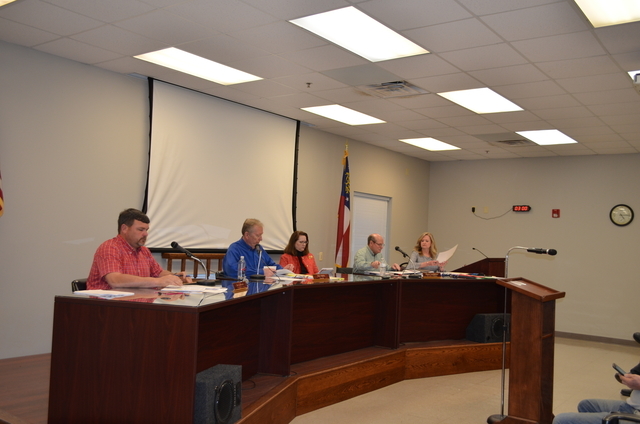 BLUE RIDGE, Ga. – Chief Appraiser Dawn Cochran expressed concern to the Fannin County Board of Assessors over the maps and aerials line item of the assessors budget at the board’s June 7 meeting. Currently, the line item shows an over-budget amount of $7,524.11 due to an $8,000 payment to qPublic.net, the department’s public access tax records website, and a $23,524.11 amount paid for this year’s update of the countywide aerial photography mapping. The budget appropriation this year for maps and aerials is $24,000. The mapping update was completed earlier this year using LiDAR (Light Detection and Ranging) technology, which produces high-resolution 3D imaging by using laser returns reflected from the earth’s surface back to a GPS-monitored aircraft. Last year, prior to the approval of the mapping project, several county departments that will utilize the mapping technology as well as the municipalities of Blue Ridge, McCaysville and Morganton and utility entities all agreed to equally share the cost of the mapping and reimburse the assessors department upon completion of the project. At Thursday’s meeting, Cochran explained while all of the county departments and outside entities have sent their reimbursement payments to the county, the reimbursement amount, which totals over $19,000.00, has yet to be credited to the assessors budget, leaving the aforementioned over-budget amount on paper. Once credited back to the assessors’ budget, an amount of approximately $12,000 would still remain in the maps and aerials line item, according to Cochran. “I feel like we owe it to the tax payers to not be out of line, not be in the negative,” Cochran told the Board of Assessors. She also said there would be additional expenditures throughout the rest of the year that would need to be deducted from the maps and aerials line item. Also, Cochran stated the assessors were scheduled to be on the agenda at the next Board of Commissioners meeting June 12 to speak with the commissioners about the issue. Cochran also shared with the assessors the results of the Georgia Department of Audits and Accounts 2017 sales ratio study. The report studied a total of 322 samples from the county. 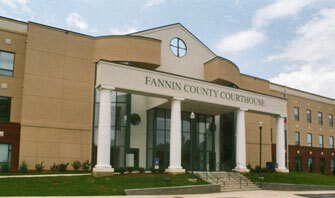 According to the study, the overall ratio for Fannin County stood at 38.36. 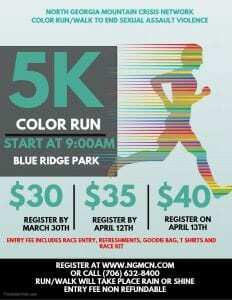 This falls within the 36.00-to-44.00 range that is mandated by the Georgia Department of Revenue. However, Cochran did note that the county’s coefficient of dispersion (COD) for residential property was high. The COD measures the uniformity within a classification or type of property. The residential COD, according to the study, was 18.21 for 2017. Cochran explained this number should be 15.00 or less for residential property. For agricultural, commercial, and industrial, the COD was 18.17, 18.16 and 18.16, respectively, all of which fall in line with the state-mandated number of 20.00 or less. Despite the trouble with the residential COD, Cochran was optimistic of study. “I feel good about it … under the circumstances and the sheer number of sales that we’ve had,” Cochran said. Cochran also presented the assessors with a consolidation value sheet for 2018, which essentially categorizes the parcel count, acreage and 40 percent value of the entire county property tax digest for the year. 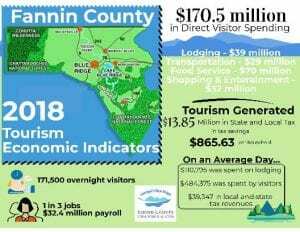 According to the information, the total gross taxable value for the county in 2018 stands at $1,685,565,308. 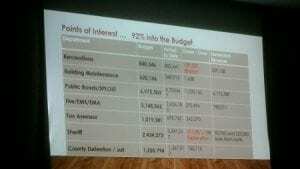 The chief appraiser told the assessors the digest increased by $42,442,741 over last year.